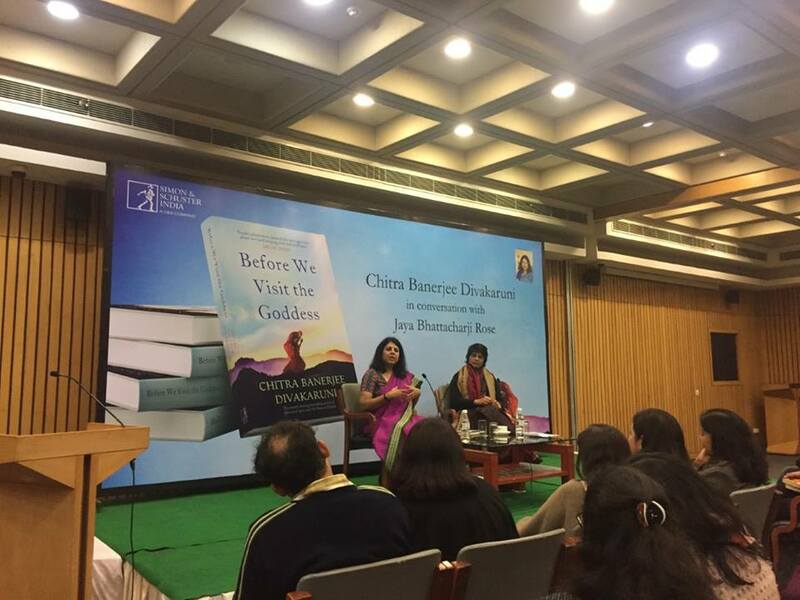 Thanks to everyone who helped make the tour a success: my publisher Simon and Schuster India, especially my wonderful publicist Bharti Taneja; my agent Sandra Dijkstra and her associates; ZEE Jaipur Lit Fest, Tata Kalam Lit Meet Kolkata, and Times Lit Fest Bangalore; Crossword bookstores across the country; the colleges that invited me: Lady Shri Ram, Ethiraj, IIT Madras; INKTALKS, Bangalore; the journalists who interviewed me so generously; and especially my wonderful readers in all the cities I visited. Couldn't have done it without you. Here are some photo highlights. More to come later. MY TALK AT THE JAIPUR LIT FEST, WITH MODERATOR SHRABANI BASU. OVER A THOUSAND ATTENDEES AT THIS EVENT! AT THE TATA KALAM LITERARY MEET, KOLKATA, AT THE HISTORIC VICTORIA MEMORIAL, WITH DIYA KAR HAZRA OF PAN MACMILLAN INDIA. SHE WILL BE MY EDITOR FOR MY UPCOMING NOVEL ON SITA! Hope you enjoyed these. Will add more photos soon. Thanks again, everyone!